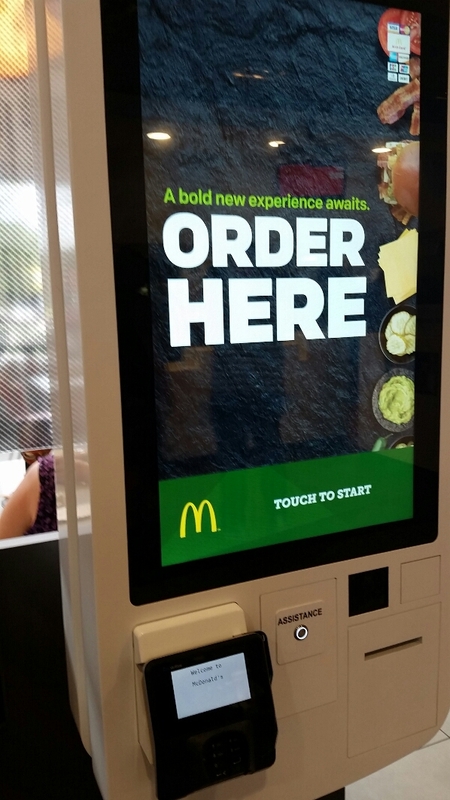 The new Create Your Taste from McDonald’s is featured on this system. There is a myriad of choices for toppings on your custom burgers – everything from guacamole to spicy mayo. 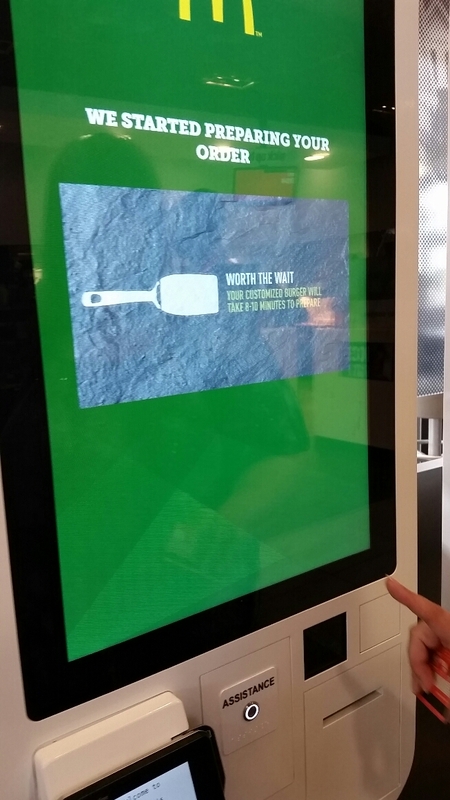 The kiosks allow you to take your time ordering, and you can pay right at the kiosk ( or cash at the counter ). There didn’t appear to be a calorie count as you added or removed toppings. As for taste – the burgers with different toppings was a change from the standard taste. Ordering was fun, but the taste was so-so. 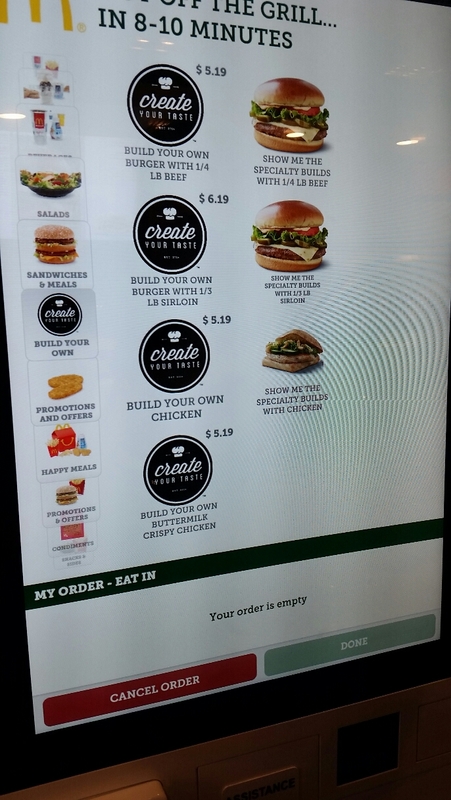 Better for ordering so you can take your time, but custom burgers seemed more of a novelty.